Are you chasing your dreams or are your dreams buried somewhere because of fear? Is your dream slipping away, buried somewhere not being realized because you are afraid of failure or worse yet, you are afraid of what others will say about what you’re doing or how you’re dong it? What you need to remember is this; God has given us all a dream, a purpose, there is no doubt that it is there! It is our job to find it and chase it! We need to make it our own! The joy and fulfillment you will get from life once you stop worrying about others and just do what you know, what you feel, is right, can’t be measured! You will know when you are on the right track, you will feel it in your gut. 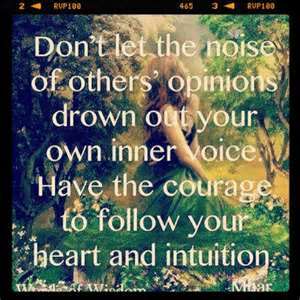 Do not let the judgement of others determine your chase! You need to discover the dream and go after it. Do not take your eye off the prize! Keep focused and determined. Be prayerful that you will always remember that HE has faith in you and your abilities. Don’t let the noise of others drown out the inner voice, the voice of God, telling you that you are worthy, you are the one who can and will realize this dream! Just don’t forget you do have a dream! ← Stop Lying to yourself! Hi! Thank you for reading and commenting on my blog. I am glad to hear from someone else who is passionate about helping others find their purpose! I will definitely visit your blog. Have a great night!